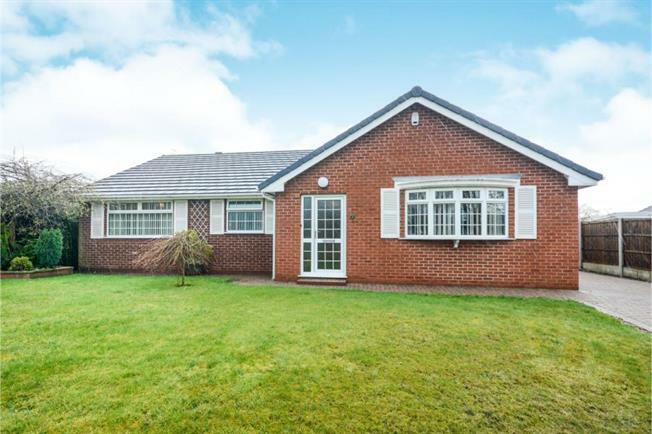 2 Bedroom Detached Bungalow For Sale in Chesterfield for Guide Price £350,000. Fantastic opportunity to view this spacious 2/3 bedroom bungalow with off street parking, garage and conservatory in Hasland. Benefitting from a range of popular local amenities and public transport links this truly needs to be viewed to fully appreciate the accommodation on offer. The property briefly comprises of entrance door leads into the lobby with access into the hall. The kitchen has a range of wall and base units and leads through to the utility room and toilet with wash hand basin. The bathroom has w.c, wash hand basin, bath and separate shower cubicle and is located close to the three bedrooms. The sitting room leads through to the conservatory with views over the rear garden. To the rear of the property is the well maintained garden which is mainly laid to lawn with seating area. To the front of the property there is ample off street parking and a front garden which is mainly laid to lawn.